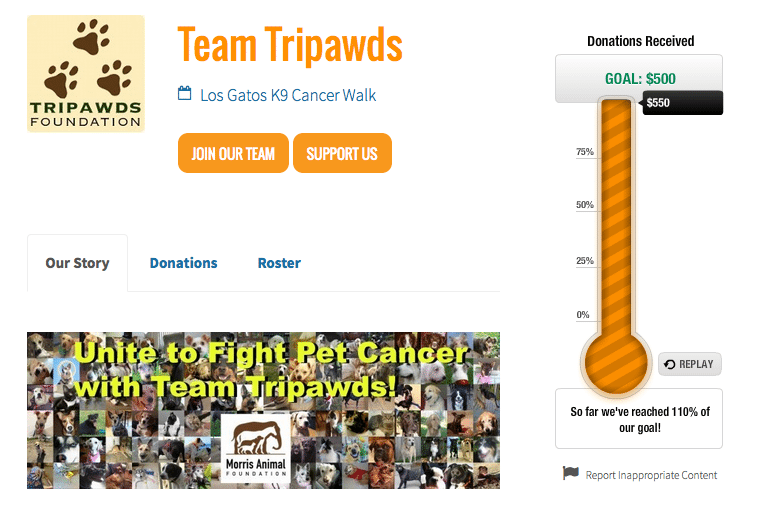 Will you be walking with Team Tripawds at the Los Gatos K9 Cancer Walk this weekend? It’s not to late to join Team Tripawds and help support the Morris Animal Foundation efforts to end cancer in pets! Yes! Thanks to your support, our small team has reached our fundraising goal for this walk. But Morris Animal Foundation, has not yet reached their goal for the event. 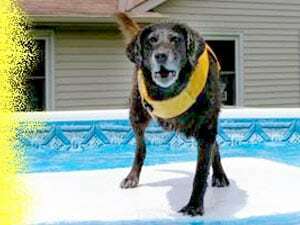 Please consider supporting our team, to help end cancer in pets! Over the years, Morris has invested more than $100 million to fund numerous studies which have led to breakthroughs in diagnostics, treatments, disease and cures to benefit animals worldwide. Can’t be there in person? No worries! Support Team Tripawds here. The Tripawds Nation will be represented in Los Gatos by members walking on behalf of all three legged Heroes and Angels. They will be raising awareness about the many resources available to people facing a limb cancer diagnosis and/or amputation for their dogs and cats. You can help do the same by sending free Tripawds Brochures to your vet!